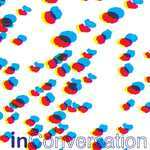 "inConversation" by Lyndall Adams, Claire Alexander et al. Adams, Lyndall; Alexander, Claire; Alexander, Emily; Barbe, Frances; Barbe, Majella; Beitiks, Megan Moe; Ben-Ary, Gemma; Bowen, Anna; Boyd, Heather; Charenko, Melisa; Checksfield, Danna; Chinna, Nandi; Chown, Katie; Coleman, Lucinda; Conda, Hannah; Crameri-Miller, Samantha; Creevey, Paddi; Cristaudo, Wayne; Delaney, Cornelius; Dunlop, Leonie; Francis, Mace; Geller, Rusty; Girak, Sue; Green, Miik; Helfgott, Louise; Higham, Catherine; Ingram, Rebecca; Izzard, Teresa; Jukic, Marija; Kueh, Christopher; Lehrer, Jacob; Lewis, Carolyne; Luebbers, Johannes; MacIvor, J Scott; McKee, Alex; McKenzie, Vahri; Metcalf, Gabrielle; Mortime, Nick; Neimanis, Astrida; Newman-Storen, Renée; Ng, Charity; Pedersen, Finn; Phillips, Perdita; Polain, Marcella; Robinson, Sarah; Schwarz, Nien; Stops, Liz; Summerfield, Rochelle; Thompson, Sharon; Uhlmann, Paul; Undén, Mats; Walley, George; and Zhu, Min, "inConversation" (2014). ECU Books. 1.